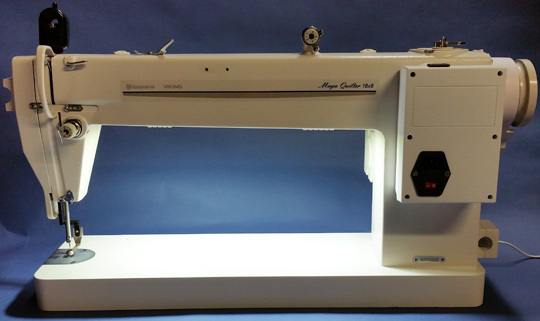 Our new LED lighting panel kit is a super-bright cool white light system for your sewing machine, serger, longarm machine or other use. Featuring 30 individual LEDs on two stick-on panels, rotatable dimmer switch and all the clips and tape you need to attach to your machine. Panel size approximately 1.75" x 1.25".